Each chakra stone is finely carved into pyramid and they are linked together to make a Chakra Pyramid Pendulum. 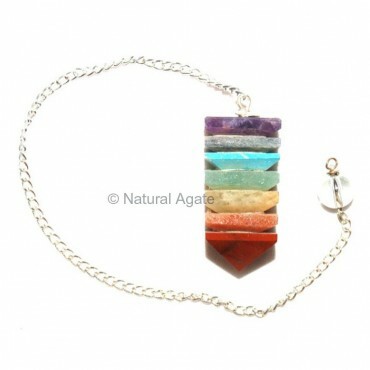 This pyramid in pendulum magnifies the energies of all the stones. It is available on Natural Agate and is 20-50mm long.